Following a review by our Current Account provider Bank of Ireland UK, a decision has been made to no longer offer Post Office Money Current Accounts. This means we need you to make arrangements to switch or close your Post Office Money Current Account by 11th September 2019. No other Post Office Money products are impacted by this change. Here, you can find information about what to do and how we can support you in your choices. Talk to us if you have any questions or concerns, or if you believe this closure could cause you financial difficulty. You can use the Current Account Switch Service (CASS) to help you move to a new current account. If you want to simply close your account, you will need to move any direct debits and other payments to another account in your name and withdraw or transfer any remaining funds. To switch to a new account, you will need to open one with another bank or building society or nominate an existing one already open in your name. Then you need to let your new bank or building society know that you wish to switch your Post Office Money Current Account across. Agreeing the date you want to make the switch. Telephone: Call us on 0800 917 2749 to see if we can close your account over the phone. For security and protection, we can only do this if certain criteria are met which we will confirm when we speak to you. For joint accounts, please make sure both account holders are present. We’ve put full details of the closure and how switching works in our Current Account Closure - frequently asked questions. 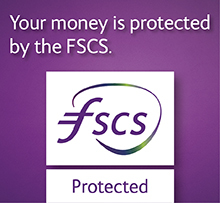 Your eligible deposits with Bank of Ireland (UK) plc are protected up to a total of £85,000 by the Financial Services Compensation Scheme, the UK's deposit guarantee scheme. This limit is applied to the total of any deposits you have with the following: ‘Bank of Ireland UK’ and ‘Post Office Money’ and savings accounts under the ‘AA Savings’ brand provided by Bank of Ireland UK. Any total deposits you hold above the limit between these brands are unlikely to be covered. Our FCA Register number is 409080. You can confirm our registration on the FCA's website www.fca.org.uk.